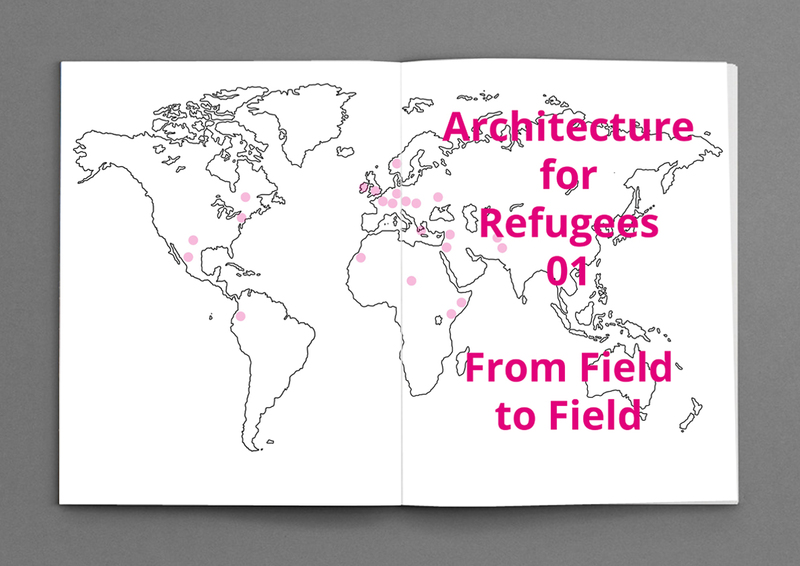 Architecture for Refugees welcomes you to this crowdfunding campaign! Please join us, purchase the book or one of the alternative supporter packages and contribute to improving living conditions, housing, public facilities and infrastructure for refugees. This project brings together a diverse range of experience, expertise, strategies and models to inspire and improve future interventions and collaborations which result in better living conditions for refugees, whilst also ensuring they are empowered by these processes and at the centre of projects. FOR THE CAMPAIGN, PLEASE CLICK HERE! The “Architecture for Refugees” is an open source online platform which collects and shares questions, problems, ideas and solutions dealing with the architectural aspects of the current refugee crisis on the European and global scale. In our modern society information and the access to knowledge are key values. Creating an open source pool of information and knowledge could enhance the collaborative work between activists, refugees, professionals and politicians. As a result of the collaborative work, organised and fast answers could be given to the shelter- and infrastructural problems of the refugee crisis. ciyknds,Some really nice stuff on this website, I enjoy it. bjvdcf,This website truly has alll of the information and facts I wanted about this subject and didn?t know who to ask. ceedus,This website truly has alll of the information and facts I wanted about this subject and didn?t know who to ask. tykjvyrvy,Wonderful one thank you so much ! ckogub,Wonderful one thank you so much ! sqlszvtqr,If you want a hassle free movies downloading then you must need an app like showbox which may provide best ever user friendly interface. vdezqppt,Quality blog, keep up the good work. You may check our website also! tjvrox,Thanks for sharing this recipe with us!! cwypnmt,Definitely believe that which you said. Your favourite justification appeared to be on the net the simplest thing to remember of. ikesza,Some really nice stuff on this website, I enjoy it. kstgfdb,Thanks for ones marvelous posting! I actually enjoyed reading it, you will be a great author.I will always bookmark your blog and will muhanswyt,come back from now on. I want to encourage that you continue your great writing, have a nice afternoon! nbxhgwsij,Very informative useful, infect very precise and to the point. I’m a student a Business Education and surfing things on Google and found your website and found it very informative. xedoasl Yeezy Boost 350,Some really nice stuff on this website, I enjoy it. qglfxoq,Thanks for ones marvelous posting! I actually enjoyed reading it, you will be a great author.I will always bookmark your blog and will vqaacjoz,come back from now on. I want to encourage that you continue your great writing, have a nice afternoon! jnzcwfb,Thanks a lot for providing us with this recipe of Cranberry Brisket. I’ve been wanting to make this for a long time but I couldn’t find the right recipe. Thanks to your help here, I can now make this dish easily. aflrpebmgt,Quality blog, keep up the good work. You may check our website also! olwfwzminvh,Wonderful one thank you so much ! jpwyxrdwbi New Yeezy,Waw! Its really great and wonderful ever i found. Thank you for sharing this info. jeygpggfh,If you have any struggle to download KineMaster for PC just visit this site.